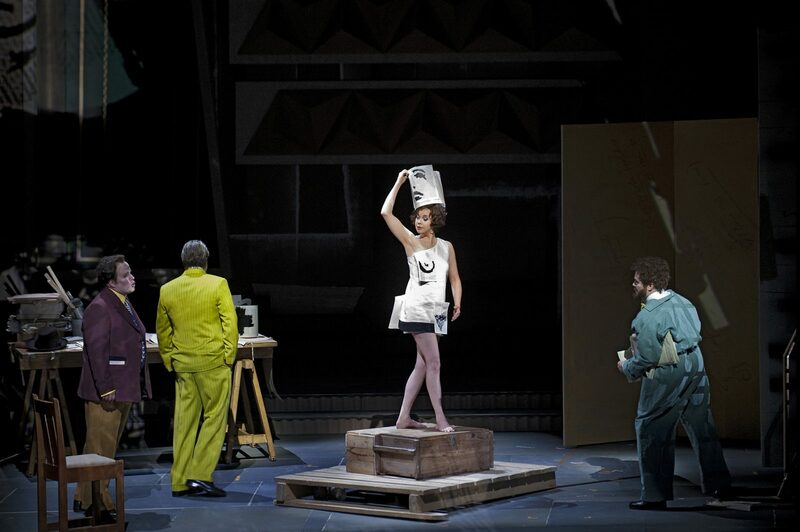 Lulu is back on stage at Teatro dell’Opera di Roma, until May 30. 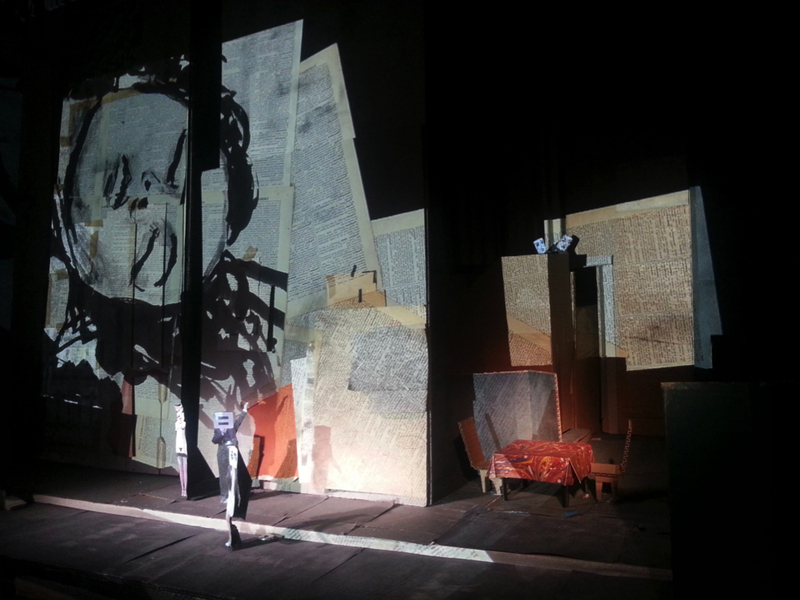 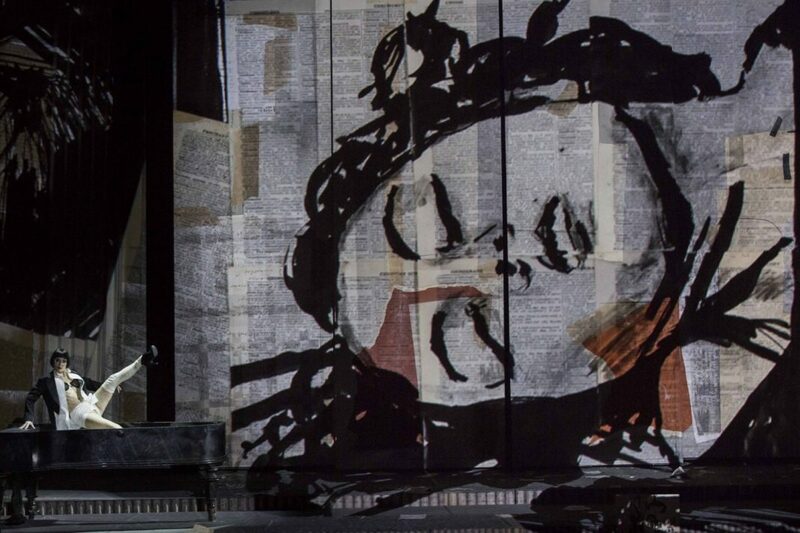 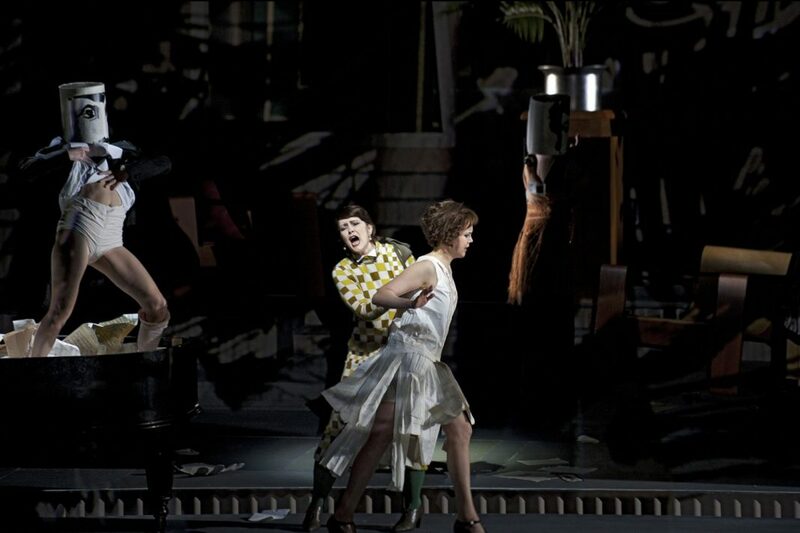 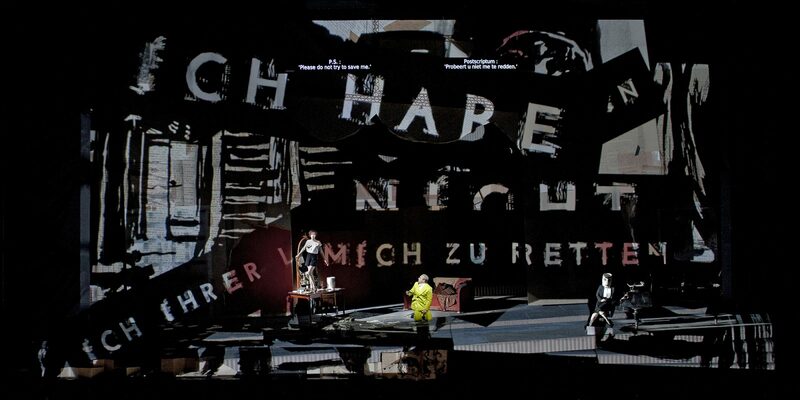 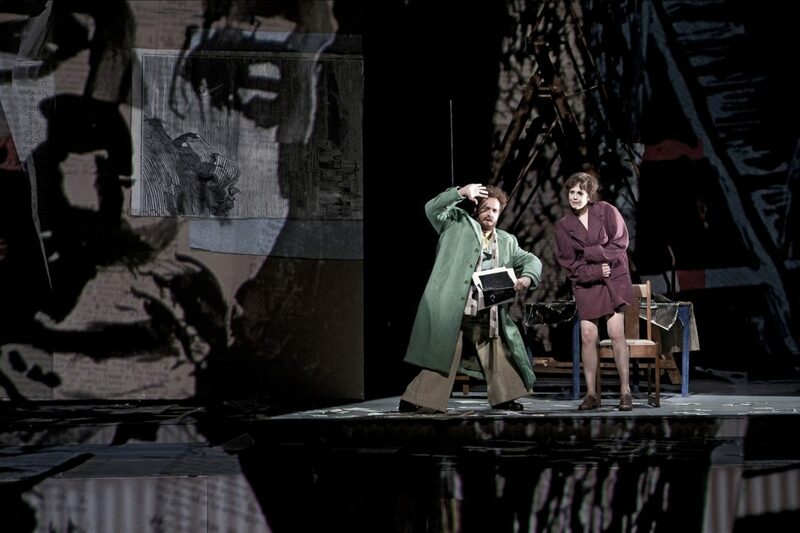 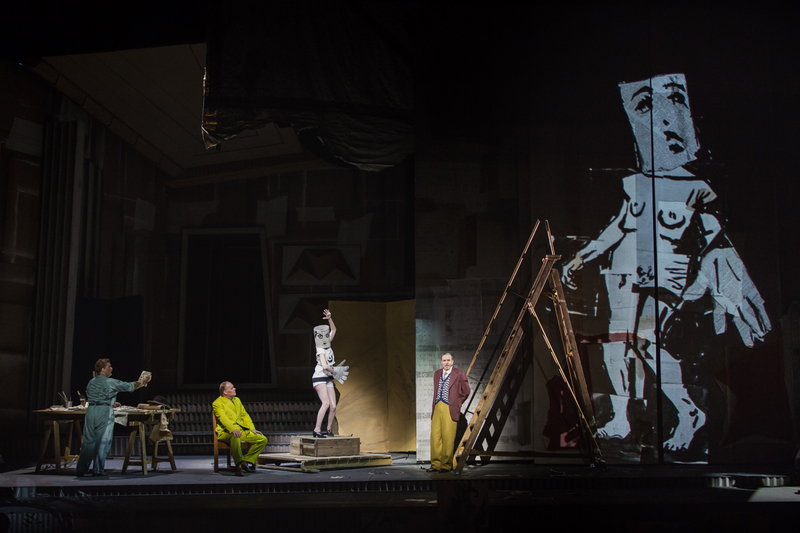 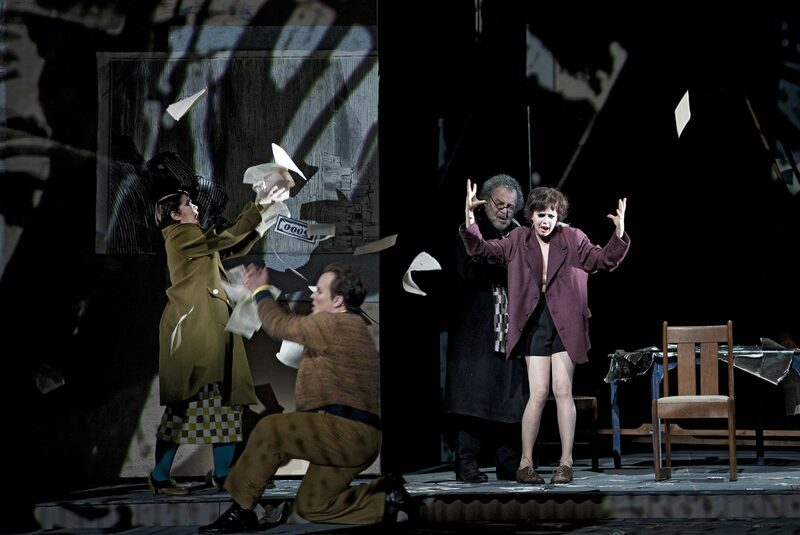 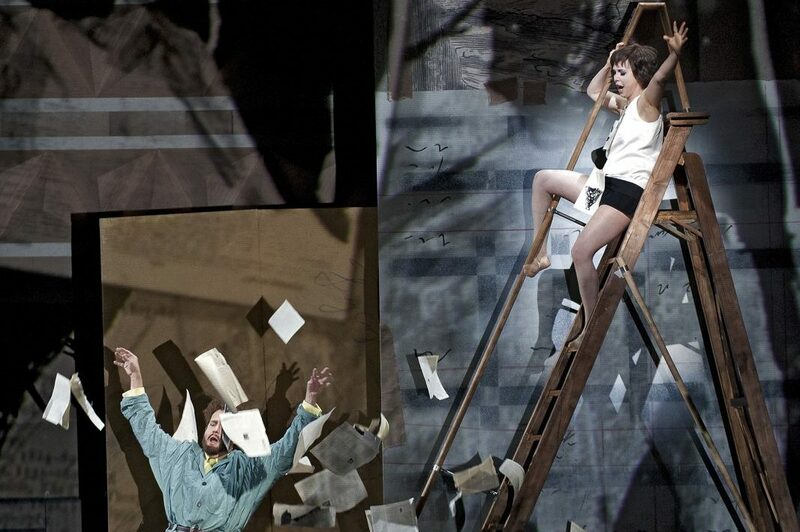 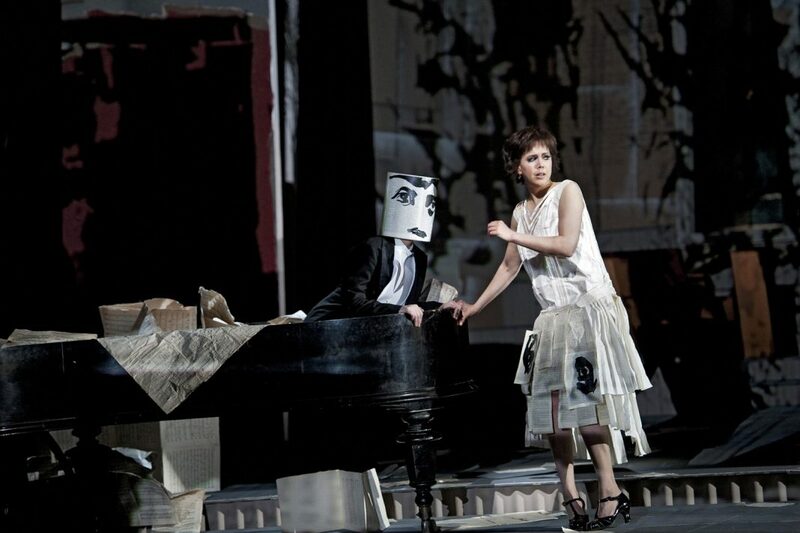 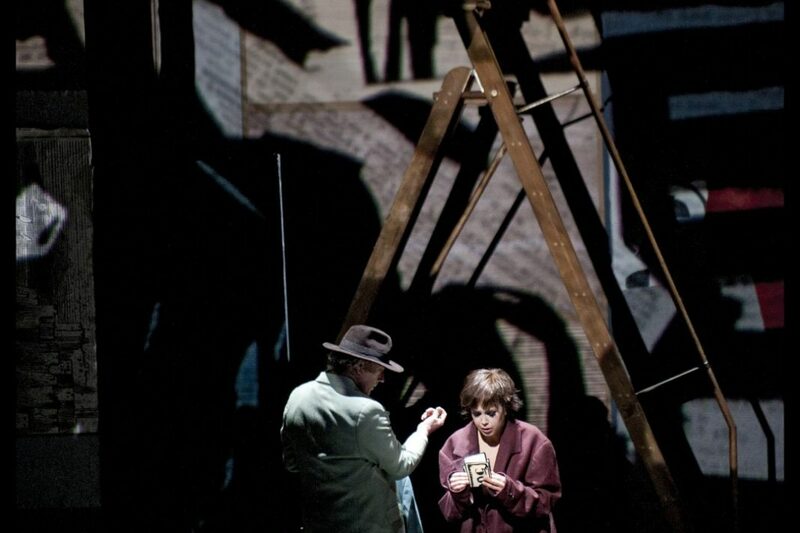 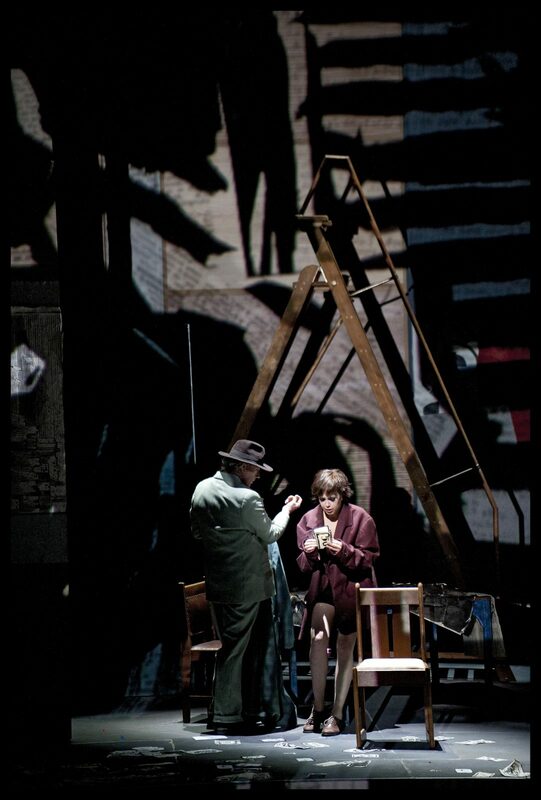 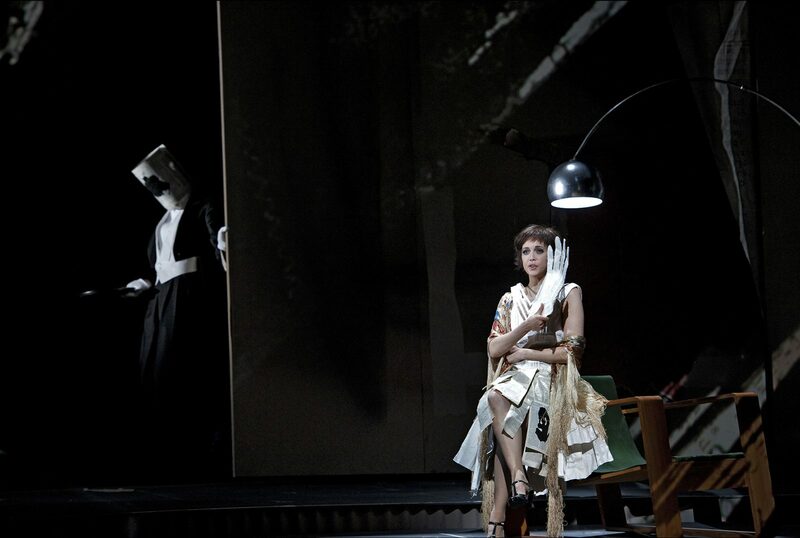 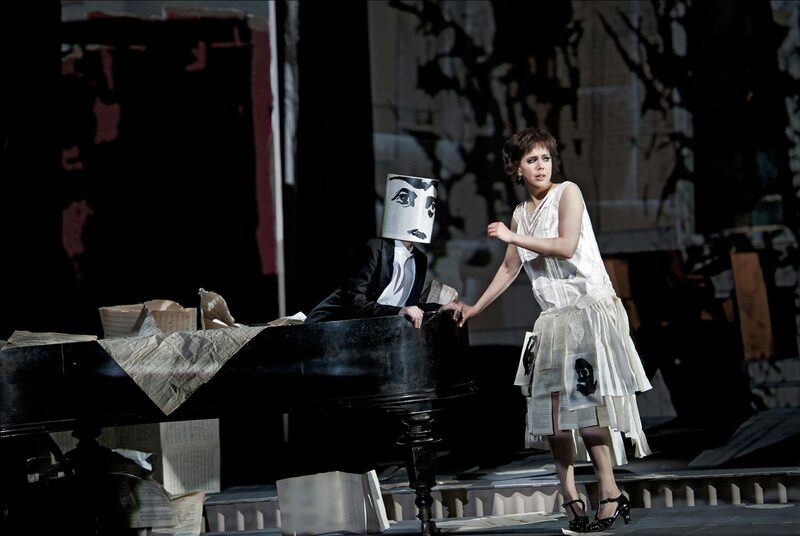 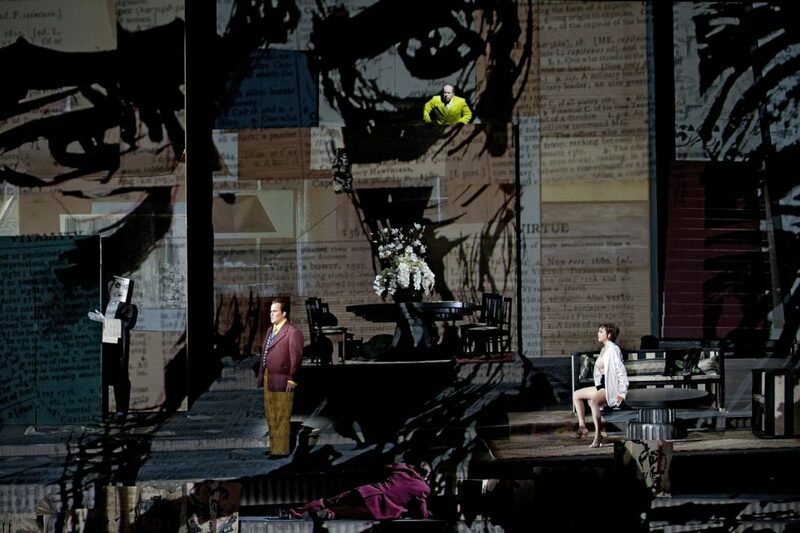 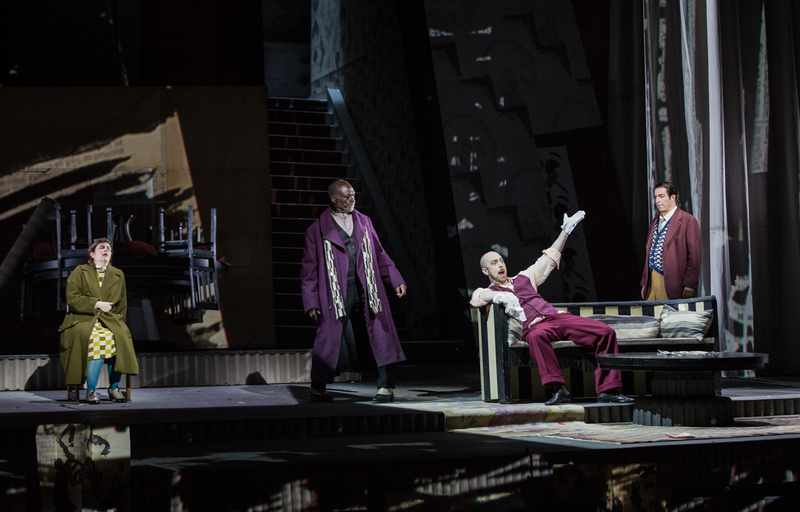 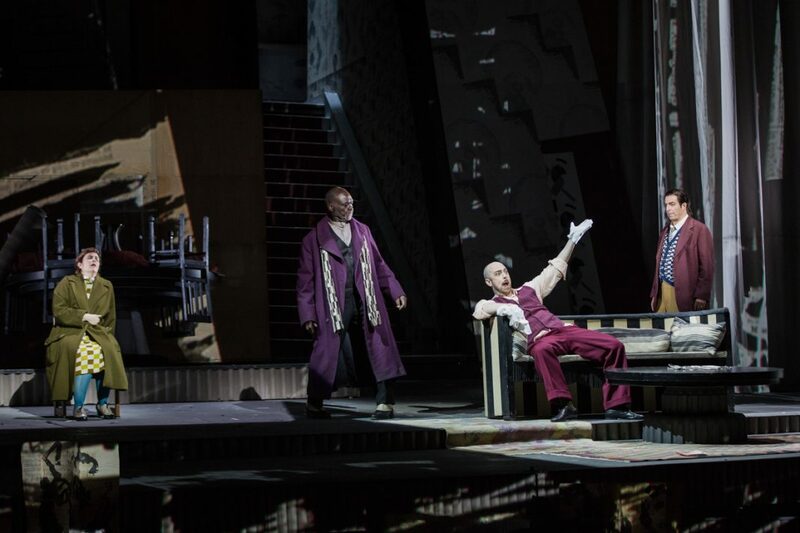 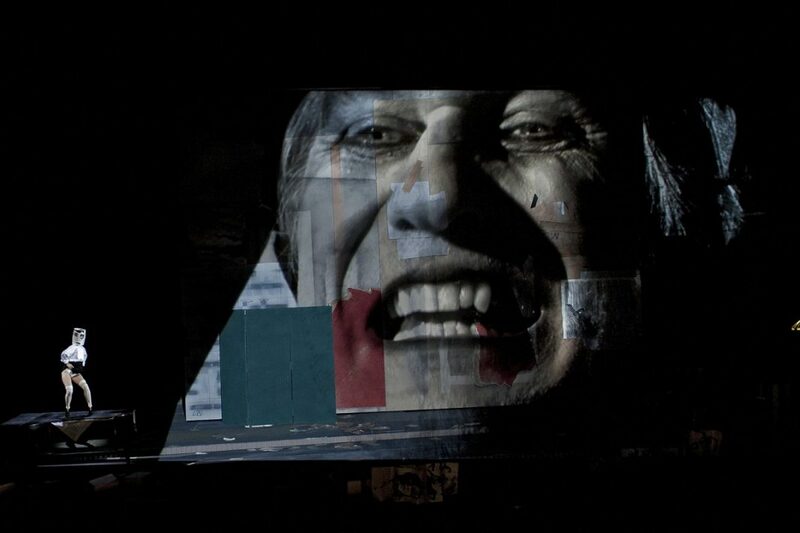 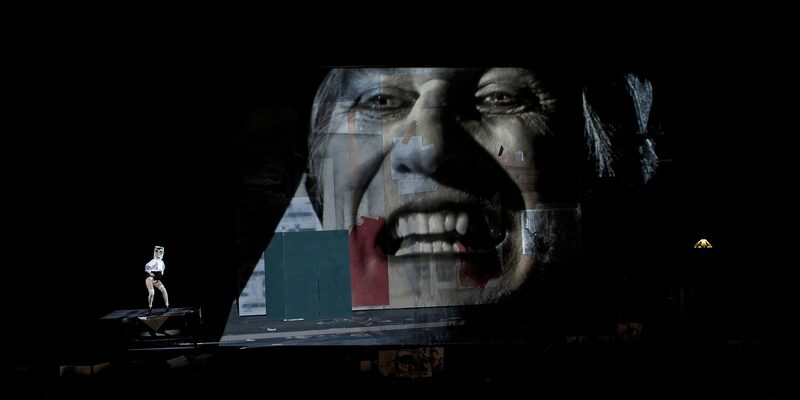 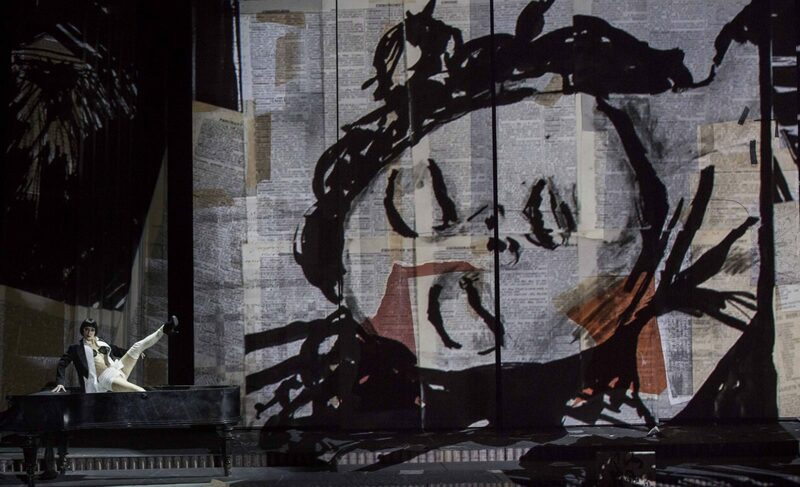 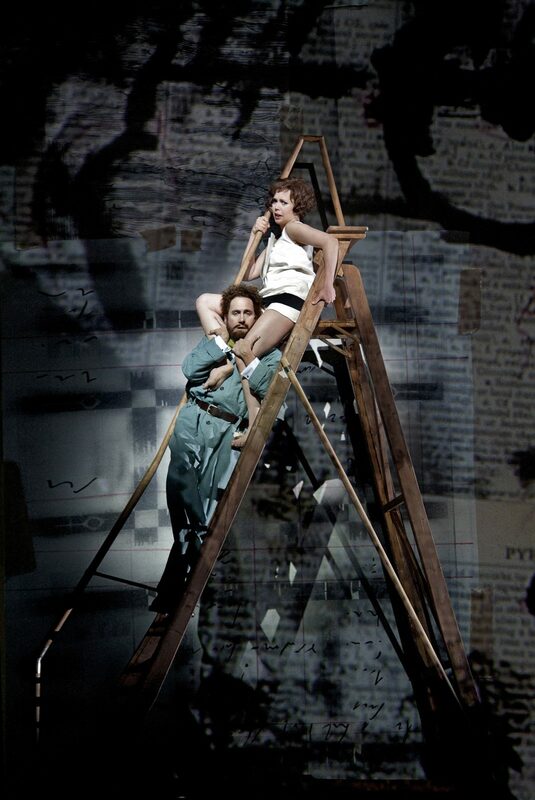 Artist and director William Kentridge’s staging of Alban Berg’s Lulu premiered in 2015. A co-production of the Dutch National Opera, The Metropolitan Opera, the English National Opera, and Teatro dell’Opera di Roma, the production is now back on stage in Rome. 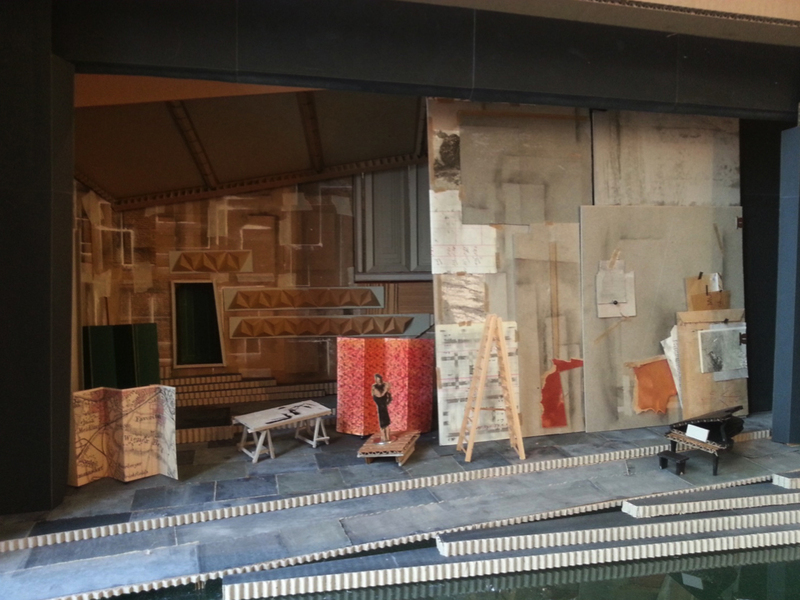 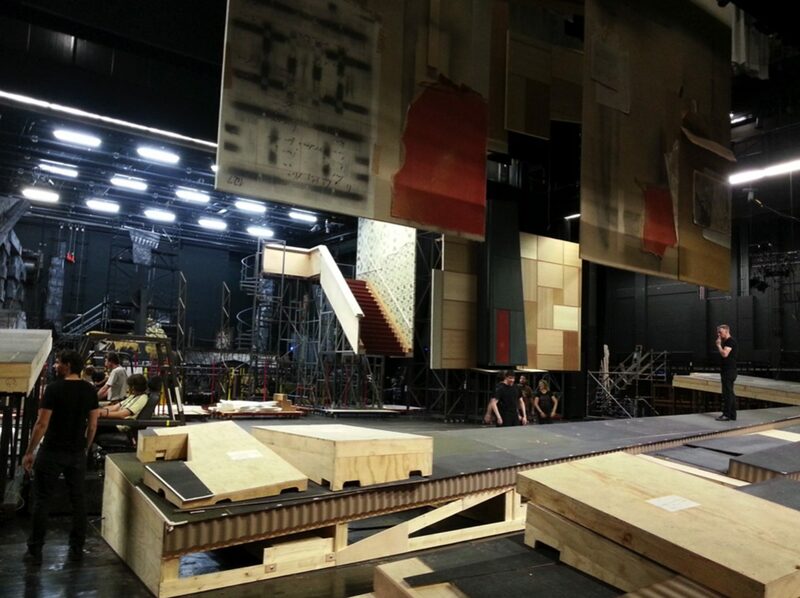 We have spoken to the set designer, Sabine Theunissen, to get to know the set in better detail. 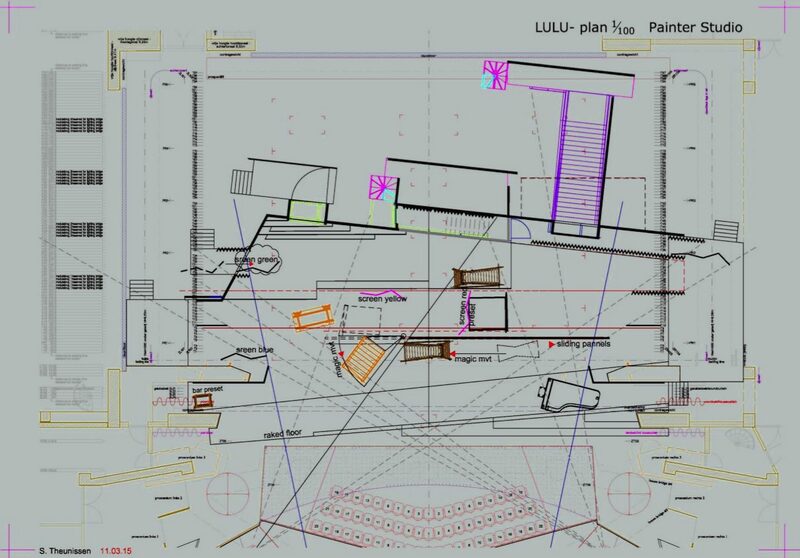 For Lulu, Theunissen conceived the stage as a single architectural interior. 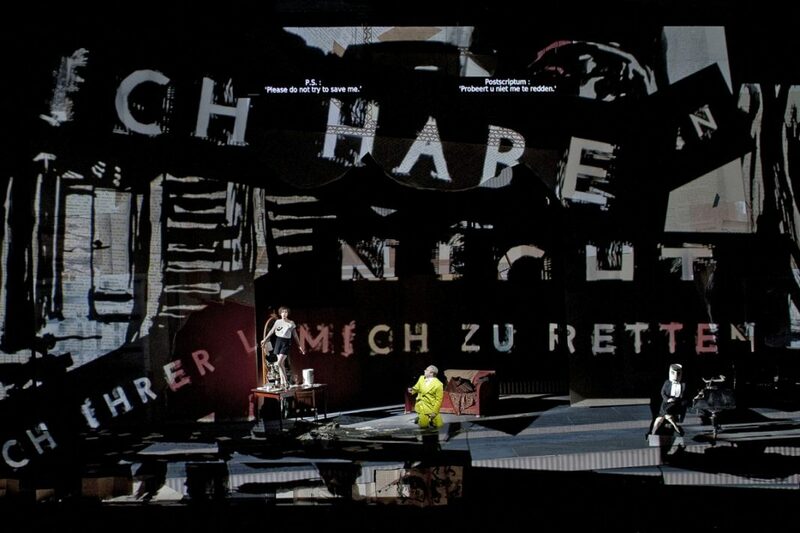 Two sliding panels that function as both stage frame and video projections screen partially or completely reveal a rear space, once in full width, more often only on one side of the stage. 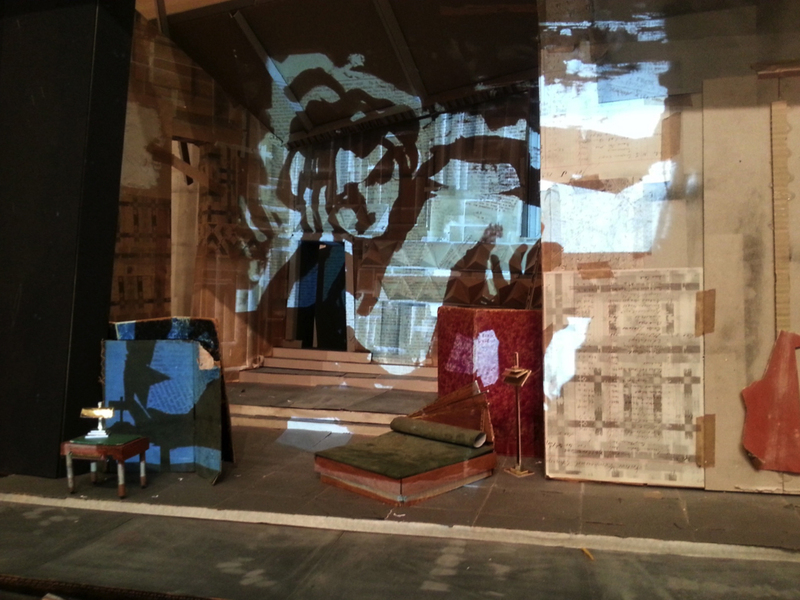 During the interludes, the panels slide to the center and are used as a projection screen for the transition videos. 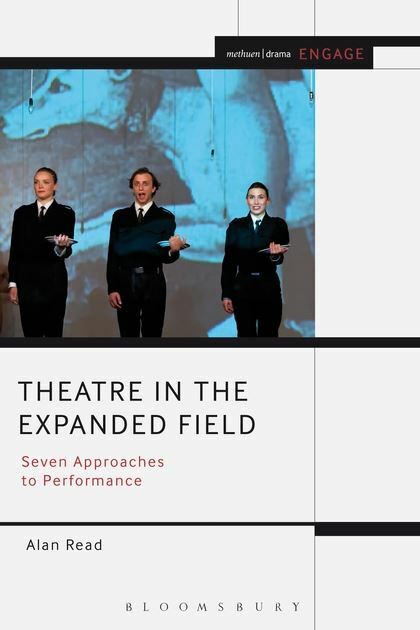 As for the language, Theunissen found the key in what she defines a process of combination, as a counterpart to fragmentation. 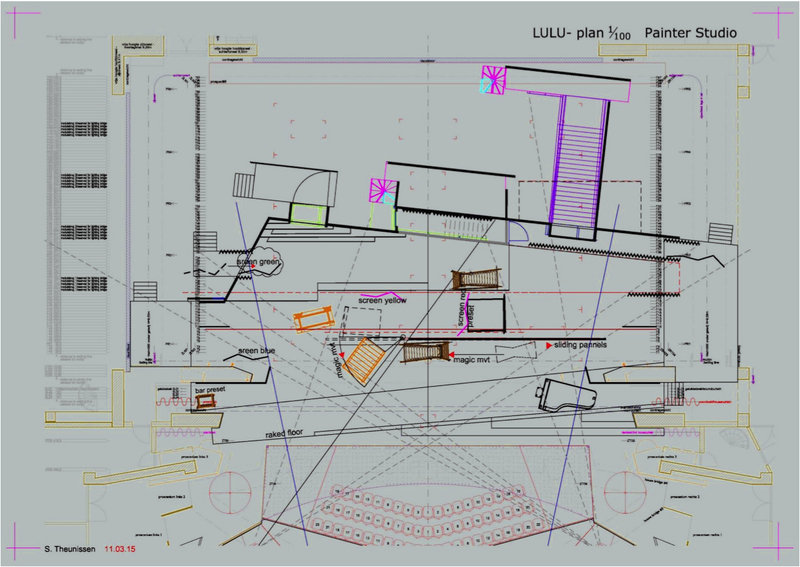 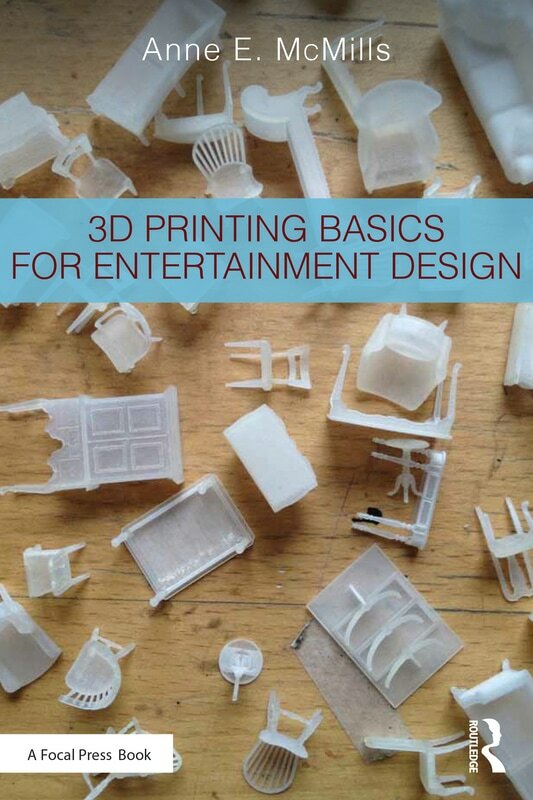 An exact transposition to the full scale of the 1:10 draft model – in which she recycled book covers, coffee containers, tape, sandpaper, etc.- combined with a naturalistic and detailed make of the other items.